Touchdown is the ultimate Big Red fan! 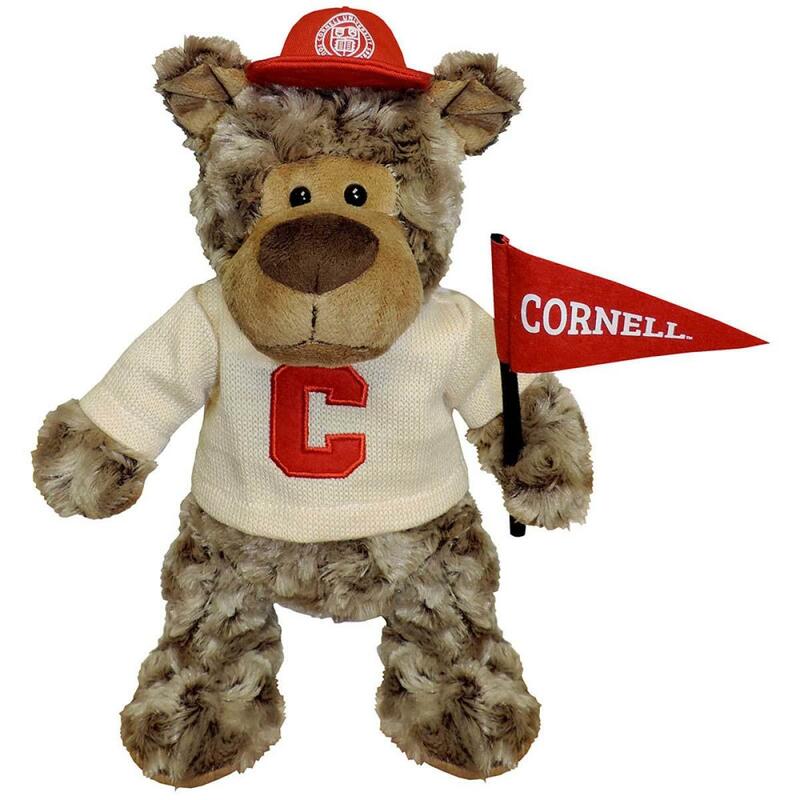 He comes decked out in his varsity sweater with embroidered felt block C, Cornell felt pennant and cap with the Cornell seal. He is always ready to cheer on his favorite Cornell sports teams. Touchdown stands 12in tall.